"We do not have the luxury of time to be complacent or passive." 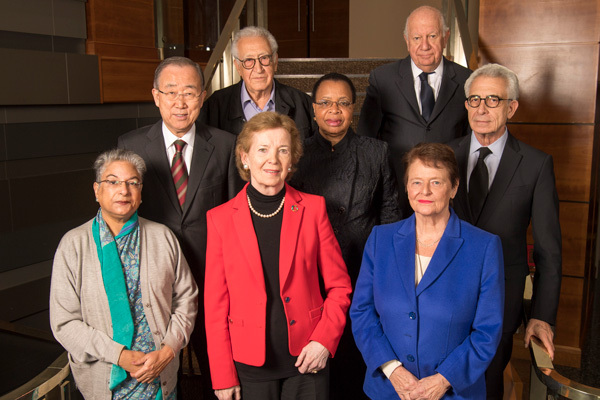 The Elders at their November 2018 Board Meeting in London. It is an honour to write to you for the first time in my new capacity as Chair of The Elders. I have been a proud member of this group since we were first brought together by Nelson Mandela in 2007. 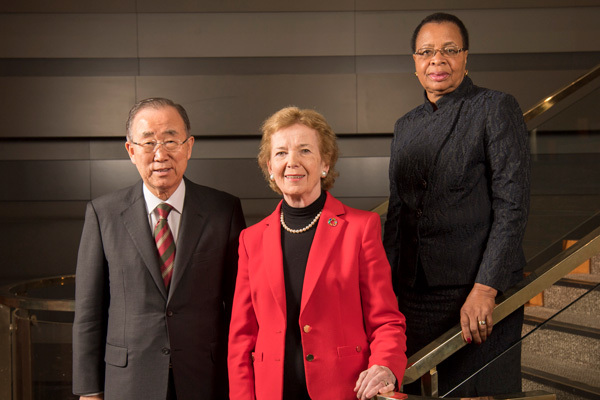 Now, building on the powerful legacies of my predecessors as Chair Archbishop Tutu and Kofi Annan, and working together with our new Deputy Chairs Ban Ki-moon and Graça Machel, I am confident as Chair that our voice can both be heard by leaders, and amplify grassroots activists, at this critical moment for peace, justice and human rights worldwide. The Elders met last week in London for our biannual board meeting. This was a serious and intensive occasion, and the loss of Kofi Annan was keenly felt by all who attended. The meeting was chaired by Gro Brundtland, who has done so much to guide and sustain us as Acting Chair in the months since Kofi’s sudden passing. On the eve of the board meeting, we were joined by Nane Annan and other members of the family for a celebration of Kofi’s life. This was a warm, intimate and deeply moving affair, where the Elders and members of the Advisory Council shared reminiscences and took courage from Kofi’s remarkable life. We know that he wanted the work of The Elders to continue, and it is with his spirit in mind that we tackled the diverse and challenging board agenda. 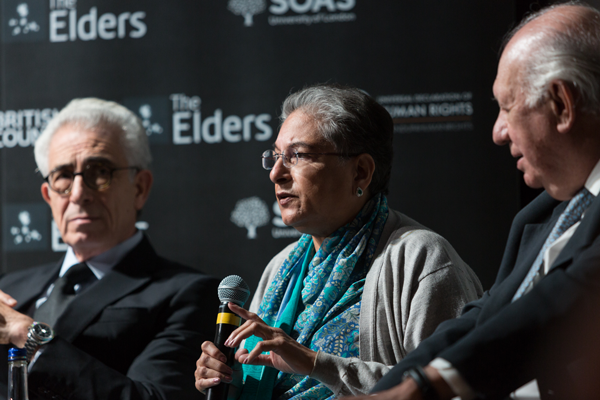 Our discussions covered issues across the six main programmes of The Elders’ work: conflict, ethical leadership and multilateralism, refugees and migration, climate change, Universal Health Coverage and access to justice. It is clear that none of these issues can be addressed satisfactorily in isolation; they are all interlinked, and can only be effectively tackled by a holistic approach that puts the interests of ordinary people at the centre of the stage. 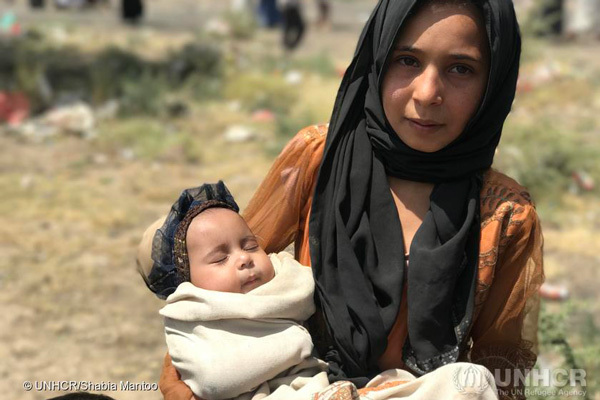 In the course of our meeting, we issued two statements on issues of immediate concern: the devastating conflict in Yemen where a terrible famine looms, and the political and constitutional crisis in Sri Lanka. Prioritising equally pressing issues is always an immense challenge but it is clear to me that there are two urgent existential threats that we as Elders must urgently act upon: climate change and nuclear weapons. The recent report by the Intergovernmental Panel on Climate Change starkly sets out the challenges of securing a just transition to a 1.5 degree world, and the urgency with which this needs to be accomplished. This can only be done by a people-centred, rights-based approach with justice and solidarity at its heart. All the Elders speak as one on this, and we are determined to act boldly and urgently. As we saw in the Brazilian presidential election, the result of which we digested on the first morning of our meeting, there are still many political leaders in the world who downplay or deny the necessity of climate action. Their siren songs need to be countered robustly and rapidly; we do not have the luxury of time to be complacent or passive. In a similar vein, the Elders had substantial discussions on the continuing threat posed by nuclear weapons, including an expert briefing by former Australian Foreign Minister Gareth Evans. The proliferation of these deadly weapons is as serious a risk to world peace today as it was during the Cold War. Both these threats are of critical importance to the younger generations who will inherit the world we leave behind. This is why I was delighted to have the opportunity to discuss them at a public event the Elders co-hosted with SOAS-University of London and the British Council on 29 October.